my mom was "customer of the week"
She's pretty much what you'd call their "#1 fan". to celebrate this special achievement. How do you become "customer of the week" you ask? It is a pretty cool deal, though. and get your name on a sign. on a sign at Starbucks? Here's Jaymin eating his beloved vanilla scones. The very ones my husband despises. 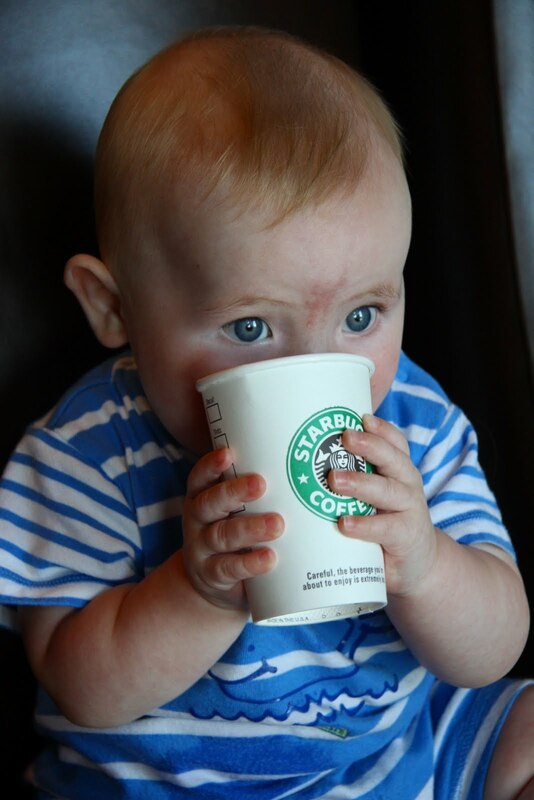 the title of "customer of the week"
is bringing the baristas gifts for their babies. 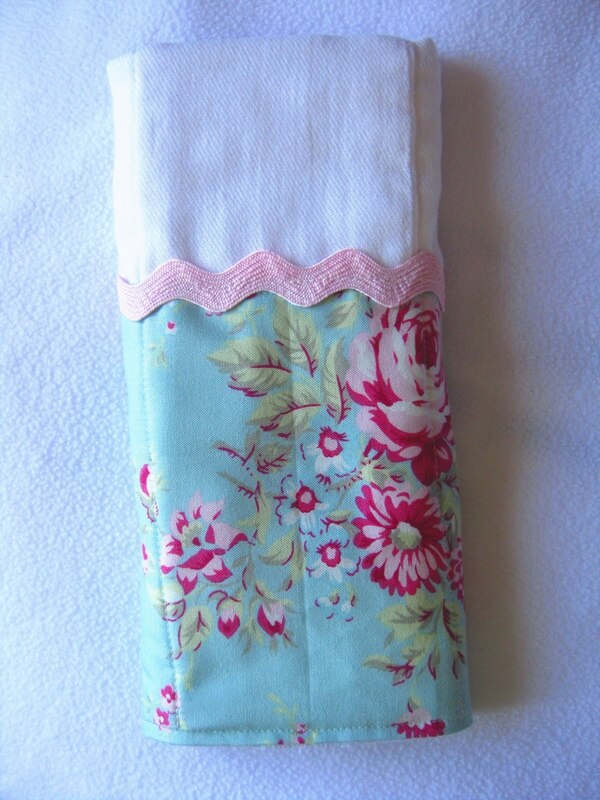 and asked me to make this baby gift for one of them. and we wanted to make it girlie and baby appropriate. and wants a shirt just like it. and that is the name of this rose fabric line. I ordered it just for her. to make something for myself. try to drape it around myself. And here's the money shot. Jettison couldn't miss out on the celebration. i LOVE that fabric. so shabby chic. adorable onesie. and also, your mom is RIDICULOUS. twice a day?? oh my word. I want a shirt like that in my size! I am serious. 2 starbucks a day for 5 years is yummy. but....if she had taken that money and invested it in a 5% interest account, she'd have $20,486 saved. maybe you should make the same drink for her at home and convince her to give you the money instead!